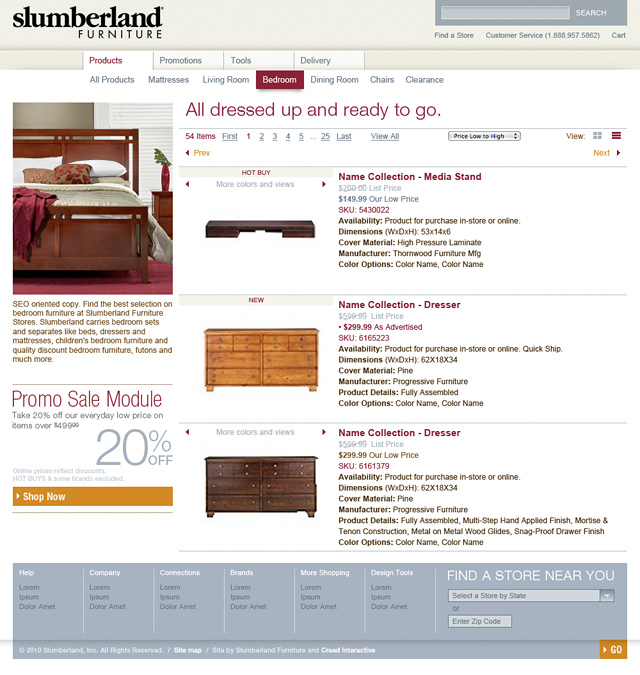 Slumberland Furniture - BrainstormOverload - Small design studio. Big ideas. 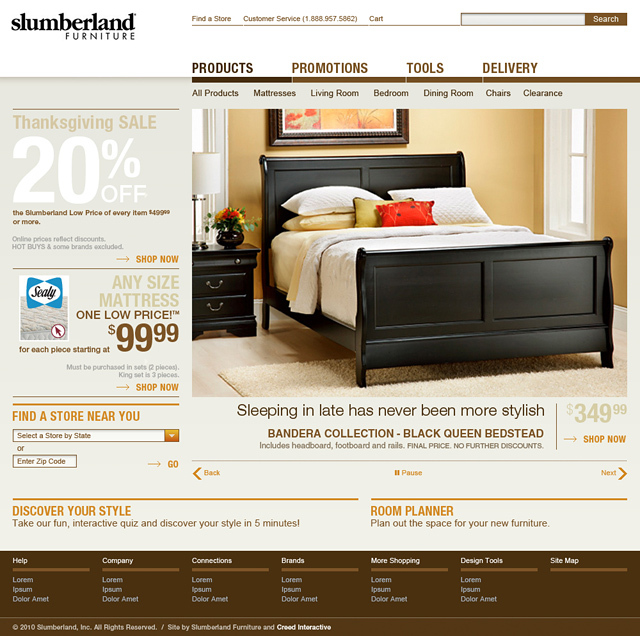 We made our first redesign recommendations to Slumberland Furniture back in 2007. 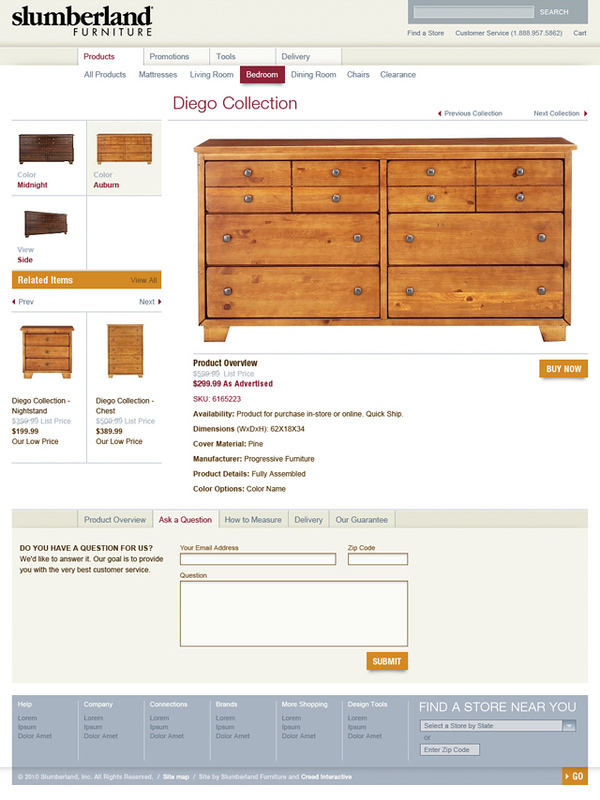 Over the years we’ve continued to provide design guidance as they work to improve their user experience and e-commerce capabilities. It’s been a slow process but we’re pleased at the influence we’ve had as the situation continues to improve. In partnership with Creed Interactive we’ve encouraged them to rethink and reorganize. To be bolder in there presentation and more confident that less is more. 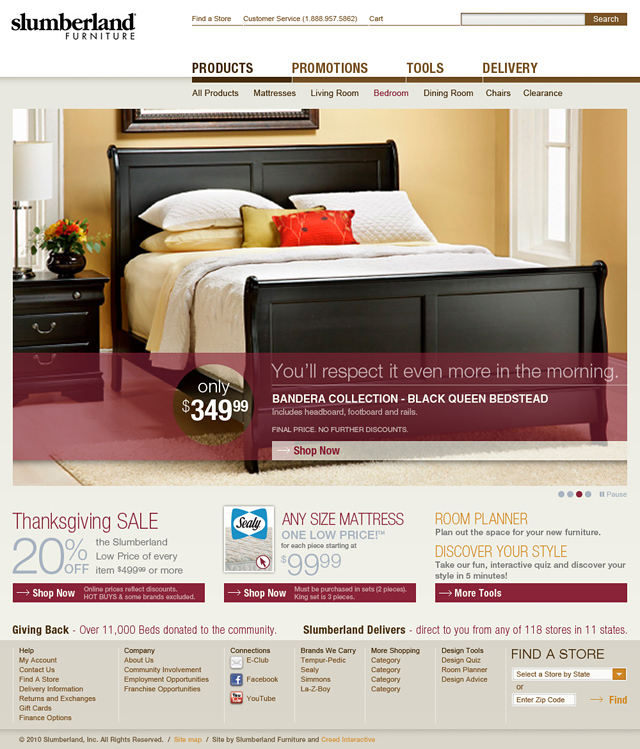 Provided a number of design directions and feedback on the work of the internal marketing team. 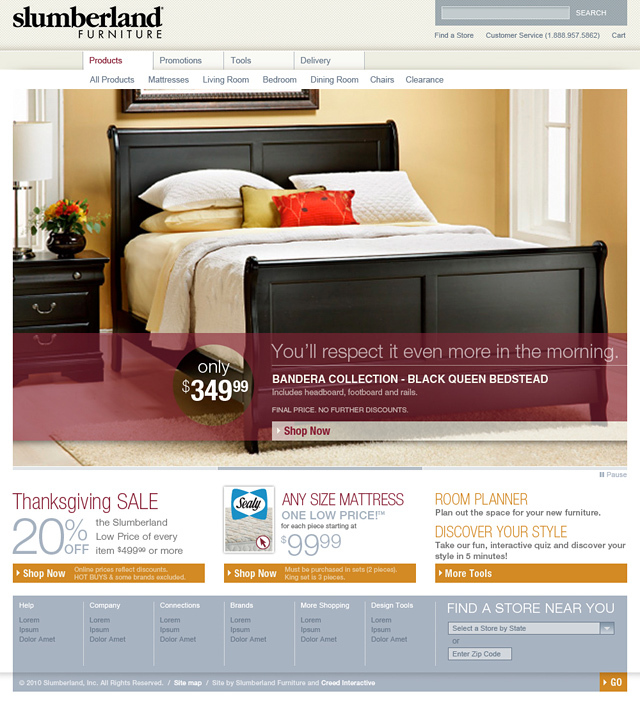 In fact, the site that is live today is starting to look like the latest evolution of our design.